With so many people jumping into the self-employed ridesharing waters, plenty of folks have questions about how to handle their tax returns each year. 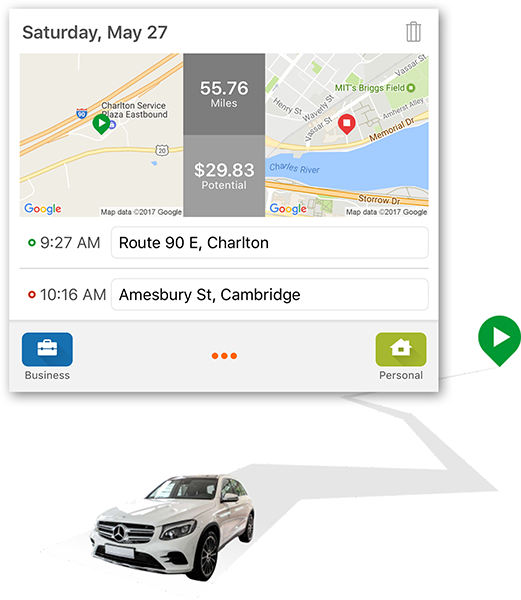 Most drivers understand they have to track and report their business mileage, but fewer understand how to truly maximize their deductions by calculating the actual costs of their vehicle expenses year over year. 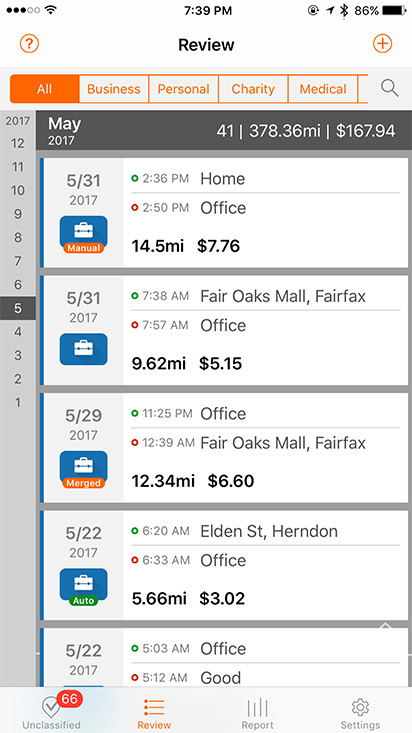 Record and classify your mileage manually or automatically with Mileage Log's flexible options. Need to log the same trip over and over each day? 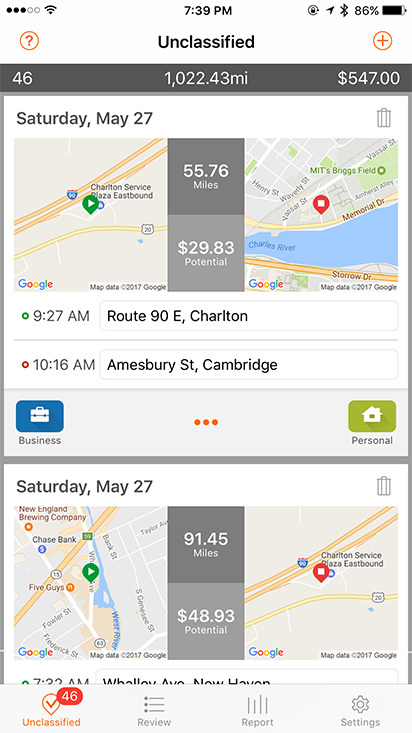 Trips with the same start and finish locations can take advantage of Mileage Log's "auto-classify" feature so you don't have to input each one. 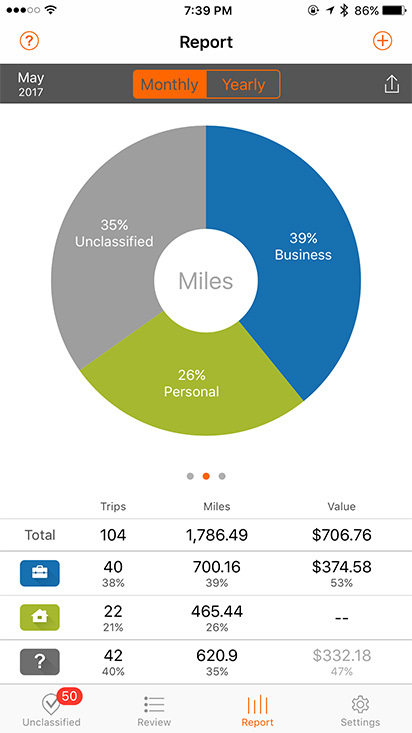 Mileage Log’s powerful features let you calculate mileage deductions directly from your iPhone. 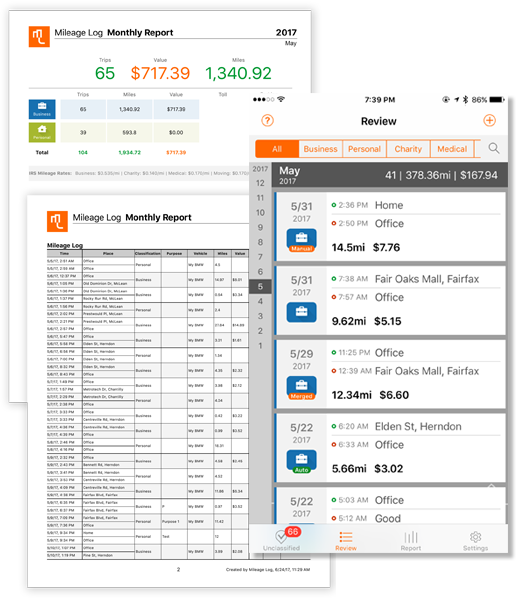 From tracking to classification to final review, Mileage Log offers the best blend of processing power and precision on the mileage tracking market. All features are available through your phone—no PC required. 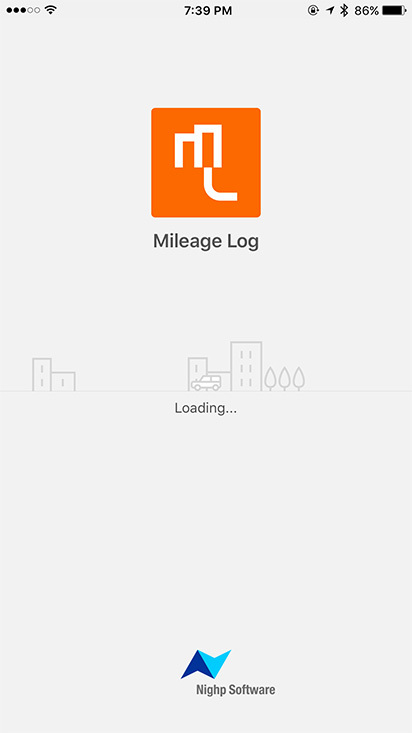 Mileage Log respects user privacy and never collects, sends, or saves user data. We don’t use app servers, meaning that complete privacy is guaranteed for every trip logged. 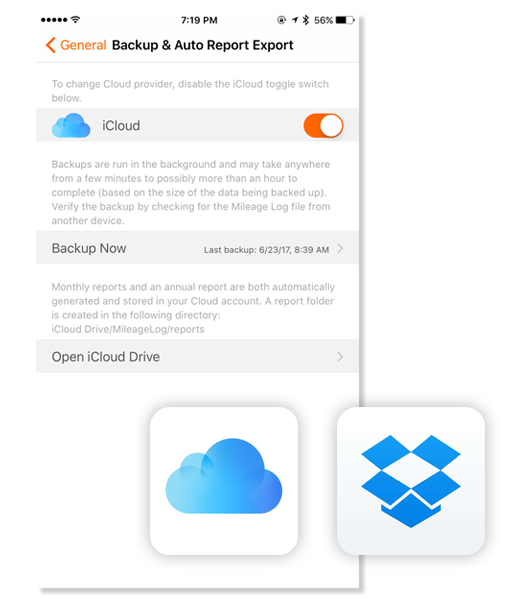 But don’t worry about losing your data – Mileage Log supports automatic data backup through iCloud/Dropbox, as well as manual export functions to ensure your information is where you need it, when you need it.